SEN stands for 'Special Educational Needs'. 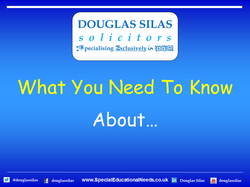 The phrase Special Educational Needs is defined in section 20 of the Children and Families Act 2014. “(1) A child or young person has special educational needs if he or she has a learning difficulty or disability which calls for special educational provision to be made for him or her. (b) has a disability which prevents or hinders him or her from making use of facilities of a kind generally provided for others of the same age in mainstream schools or mainstream post-16 institutions. Religion is not considered to be a SEN and gifted children can also not be said to have SEN.